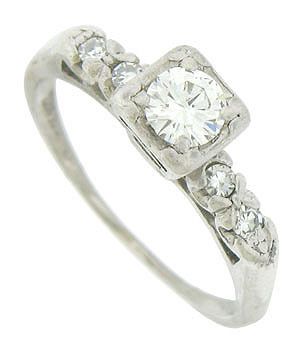 This elegant platinum vintage engagement ring features a .45 carat, G color, Vs1 clarity diamond. Pairs of round cut diamonds are set into each shoulder. 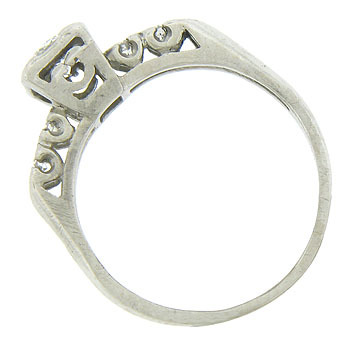 The Retro Modern ring measures 5.40 mm in width. Circa: 1940. Size 5 1/4. We can re-size.